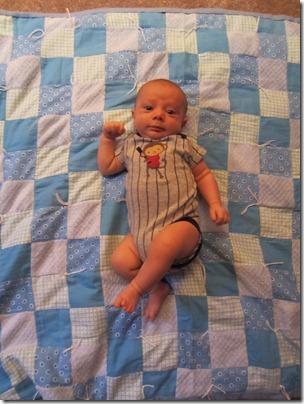 Yesterday our little Miles turned two months old. Can somebody please tell me where the time has gone? 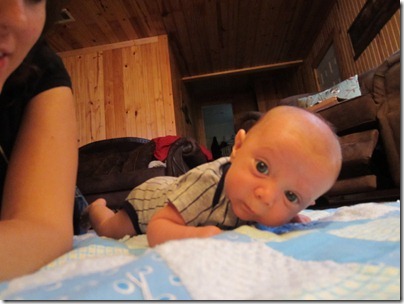 He’s becoming more of a baby and less of a newborn with every new roll and every pound gained. And boy is he gaining! 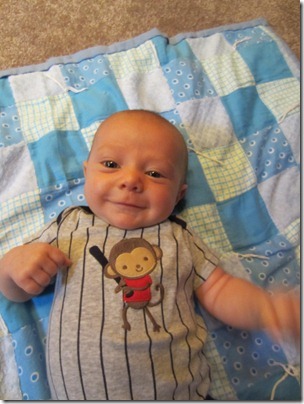 At his 6-week check-up, he weighed over 11 pounds (almost three pounds gained in three weeks!). Since then, I’m pretty sure he’s gained several more pounds. 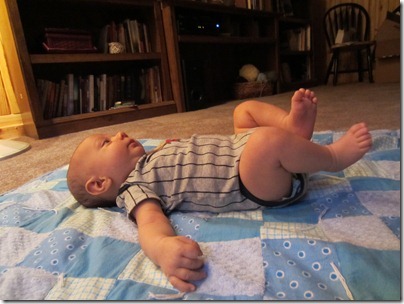 We’ve had to move him up to size two diapers, and he’s pretty close to being out of his 0-3 month clothes. His little personality comes out more-and-more each day. His eyesight is improving, and he’s using that to his full advantage taking in everything. He especially likes to look at mom and dad. 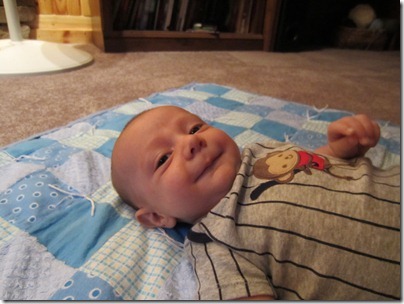 He also loves it when we sing to him…usually chiming in with coos and gurgles of his own. His smile is so frequent now! Thankfully for his parents, he’s starting to settle into more of a routine and sleep a bit better at night. We still have our moments, but the fussiness has gone down exponentially. It takes awhile to get him to sleep, but once he’s out he usually sleeps 4-5 hours for the first part of the night. This is a huge improvement! We’re excited to see what this next month will bring! 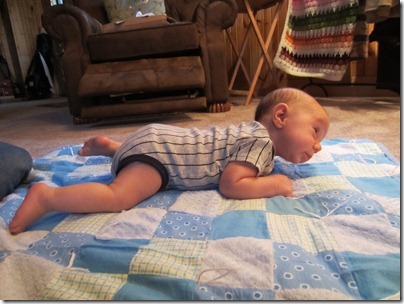 He’s so very close to rolling himself over from his tummy, so maybe that will happen soon. He gets stronger by the day! We’re looking forward to introducing Miles to his new little cousin, due to arrive any day now. It seems weird that Miles will be the big boy all of a sudden! Time really does fly, doesn’t it? What a gift to see life unfold!